Are you like me and eagerly buy the ingredients for a recipe and soon have a fridge full of jars and jugs that have been opened once? Drives me crazy! Buttermilk is one of those things. As a southern girl, I should be able to rattle off a dozen different ways to use up a quart of buttermilk, but the truth is, it generally gets shoved to the back until I’m too late to use it (experts say it will keep for 2 weeks in your fridge or 3 months in your freezer.) No more. An article in All You magazine inspired me to share some of the ideas to use up buttermilk or even make your own. If you have some easy ways to use up buttermilk, I’d love to hear them! GOT MILK? Add 1 tablespoon of lemon juice to a cup measure and fill the rest with milk. Let stand 10 minutes and then whisk before using. GOT YOGURT? 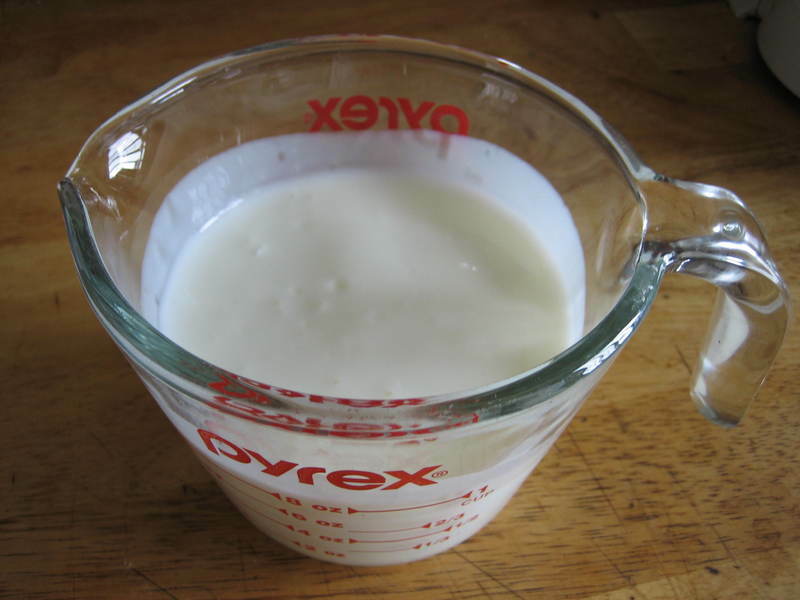 Measure 2/3 cup yogurt (or sour cream) into a small bowl. Add 1/3 cup milk and whisk until combined. Place first five ingredients in large saucepan. Bring to boil and cook for 7 minutes (mixture will foam), stirring to prevent scorching. Remove from heat and stir in vanilla extract. I also stirred in some raspberries I had on hand, yum!